AC-TSP45NAT Brand new for 2018 the TSP45 model stands out from the rest of the range by sporting a radiused curve Mahogany back, and a solid spruce top. Give us a call or pop in store for any more information. 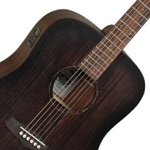 AC-DBTSFCEBW The Tanglewood Discovery DBT SFCE BW Electro Acoustic is an entry level super folk guitar built to a high standard which features a black Walnut body and bright Spruce top for a balanced and responsive tone. 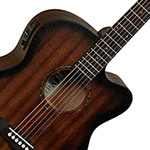 AC-TW2TXE The Tanglewood TW2-T XE is not only one of the most portable and compact acoustic guitars on the market but also offers a stunning finish, Built in Tuner, Electronic Preamp system and a fitted gigbag. Give us a call or pop in store for anymore information. AC-TWUSFCE Bringing quality construction and tonewoods at an affordable price. The Brand New for 2018 Tanglewood Union Series tick all the boxes when looking for an affordable yet high quality guitar which looks great. 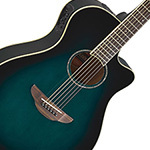 AC-GX11ME-NS The Takamine GX11ME-NS Taka-Mini is a 3/4 size electro acoustic guitar that features custom designed bracing and a scaled-down version of the famous Takamine NEX body style. 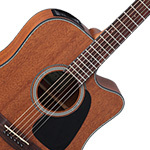 AC-GN90CEZC The Takamine GD90CE-ZC NEX Cutaway, Electro Acoustic Guitar is a beautifully designed instrument that features a spruce top, zizicote back & sides, mahogany neck, and rosewood fretboard. Comes with Takamine padded gig bag. 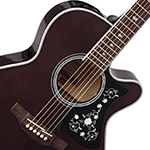 AC-A1RVS The Yamaha A1R guitar offers top class sound and feel. Premium solid selected sitka Spruce and Rosewood sides ensure clarity and warmth whilst the System 66 Pre-amp and SRT pickup offer fantastic output for amplification. 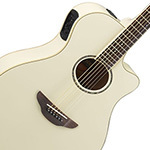 AC-APX600VW The new re-designed APX takes everything that made the APX500 the UKs best selling Electro-Acoustic guitar and improved it from the ground up. AC-CP7MOTT Vintage acoustic guitars offer something that no new guitar can offer, and thats why they are so valued - they offer the tone and warmth that only aged wood can provide. 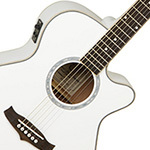 AC-TW5WHT The Tanglewood TW5 Dreadnought Cutaway Electro Acoustic Guitar features a comfortable and Stylish white dreadnought cutaway body shape that provides a versatile tone for any style. 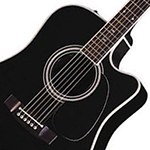 AC-GN75CE-TBK The Takamine GN75CE Trans Black is part of the new 70s range which are all stylish acoustic/electric instruments. 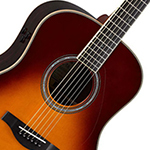 Takamine 70 Series guitars are all about great looks and premium sound quality, with solid-top construction, elegant appointments and upgraded electronics. AC-TPESFCEZS Tanglewood Guitars were formed in England in the latter part of the 20th century charged with an ambition to create a portfolio of instruments that would offer exceptional value through design features, both traditional & contemporary usually found on instruments at much higher prices. AC-TWCRDE The Crossroads series pays homage to the style and sound of classic instruments from 1930s America. AC-GLL6BSARE The Yamaha LL6 ARE electro acoustic guitar is an excellent stage/studio ready instrument that both amateurs and professionals will admire. 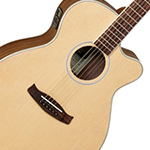 AC-EF450CTTBSB The Takamine EF450C-TT Electro Acoustic Guitar combines an inspiring aesthetic with exceptional playability, with a Thermal Treated Spruce top with Flamed Maple back and sides. 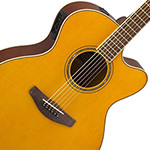 AC-TW45EGE The Tanglewood Sundance Elegance TW45 Super-Folk Electro Acoustic Guitar in natural! This all new electro acoustic guitar is made from quality woods and components to bring you an all rounder that looks, feels and sounds amazing, and gives even better value for money. 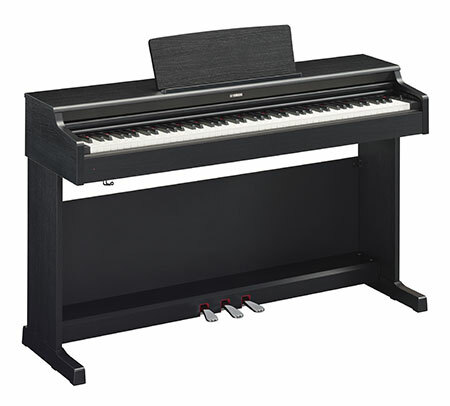 AC-FGTABL Yamaha FG-Ta TransAcoustic Black. Advanced technology and bracing design make the FG a truly wondrous instrument. Built-in Reverb and Chorus emirate from the guitar body with no amplifier needed. Perfect for all levels of musician. Finance available. AC-APX700IIVS The Yamaha APX700II Everything you could want for and rough and ready stage guitar, A slimline body and beautiful Preamp system allow for fantastic tones on or off the stage. 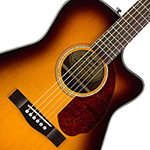 AC-TSP15CE Brand new for 2018 the TSP15CE model stands out from the rest of the range by sporting a radiused curve Mahogany back, and a solid spruce top. Give us a call or pop in store for any more information. 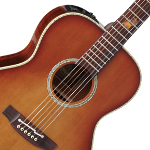 AC-TW40OANE The beautifully crafted TW40 O AN E guitar has a tone all of its own. This guitar offers a Solid Spruce Top, Mahogany back and sides with Open back Waverly style machine heads. 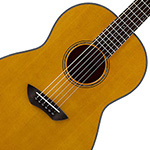 AC-FGTAVTRF Take your acoustic guitar playing on a new journey with the FG Ta TransAcoustic guitar. A rich sound with solid spruce wood top is enhanced with built-in reverb and chorus effects you can use without the need for an amplifier. Finance available. 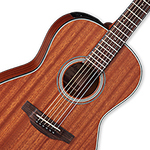 AC-TW130ASMCE Featuring stand out looks thanks to Solid Mahogany construction, the Tanglewood TW130 Electro-Acoustic offers excellent playability and plenty of tone. 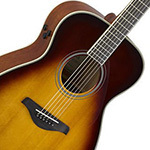 AC-GN11MCENS Brand new for 2019 is the Takamine GN11MCE-NS Electro-Acoustic Guitar, it is the perfect starting point to your acoustic guitar experience. Finance and Part exchange available. Give us a call or pop in store for any more information. AC-EF261SAN Sporting a Solid Cedar top and mahogany back & sides this legacy series model has a great punchy mid-range and warm lows. Give us a call or pop in store for anymore information. AC-GY11MENS Built for the road. The GY11MENS is a small new yorker sized body made up of high quality mahogany which provides a rich and deep sound. Give us a call or pop in store if you have anymore questions. 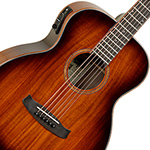 AC-TWMINIEKOA The perfect guitar for on the go, the Tanglewood TW Mini E Koa guitar is the go to guitar for someone wanting a smaller body guitar with stunning looks and warm vibrant sound. 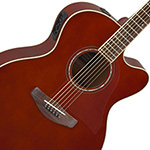 AC-GN75CE-WR The Takamine GN75CE Wine Red is part of the new 70s range which are all stylish acoustic/electric instruments. 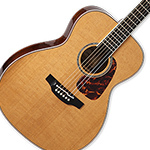 Takamine 70 Series guitars are all about great looks and premium sound quality, with solid-top construction, elegant appointments and upgraded electronics. 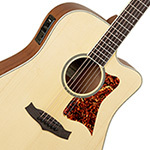 AC-APX600NAT The new re-designed APX takes everything that made the APX500 the UKs best selling Electro-Acoustic guitar and improved it from the ground up. AC-CPX600VS Yamaha CPX600 in Old Violin Sunburst. Beautiful looking guitar with a tone to match. The larger body offers a rich sound whilst the System 65 pre-amp ensures high quality amplified sound. A great all round instrument. 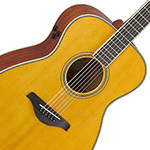 AC-FGTAVT Take your acoustic guitar playing on a new journey with the FG Ta TransAcoustic guitar. A rich sound with solid spruce wood top is enhanced with built-in reverb and chorus effects you can use without the need for an amplifier. Finance available. 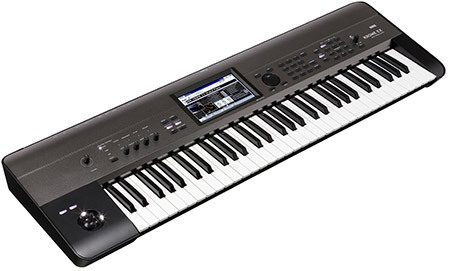 AC-CPX600VT Yamaha CPX600 Electro-Acoustic offers a big body, big sound and top class electronics. A great all round guitar for beginner to professional. AC-GAC1M-REF This guitar has come directly from Yamaha as an Ex-Demo model so would have been taken out of the box and used at some point whether it be for a show or demonstration. Call for more condition details. 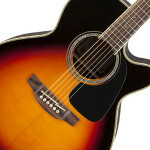 AC-FSTABS The Yamaha FS-TA TransAcoustic guitar will take your guitar playing experience to a new level. Built-in reverb and chorus effects do not require any form of external amplification as the sound resonates from the body and sound hole. Its the perfect way to enjoy a rich acoustic guitar tone without any additional requirements. 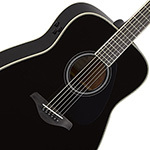 AC-CPX600BL The Yamaha CPX600 Electro Acoustic Guitar in black finish. 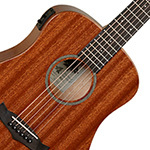 A larger shape body and high quality pre-amp system make this a fantastic guitar acoustically as well as amplified. AC-TWCROSFCE The Tanglewood TWCR SFCE is a Crossroads Series Electro-Acoustic Guitar which features a Super Folk body size, cutaway design and preamp with built-in tuner, making this model the perfect stage-ready acoustic, with a killer, vintage-style look, in Whiskey Barrel Burst Satin finish. Perfect for blues and Americana. 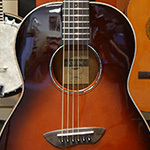 AC-FSTAVT Yamaha FS-TA TransAcoustic guitar in vintage Tint finish. 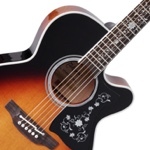 Incredible acoustic guitar with built-in reverb and chorus with no external effects required. Finance available. 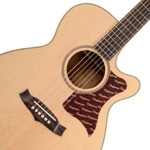 AC-GN51CELHNAT This Takamine guitar has everything you need to look and sound great on the stage. With a solid Spruce top combined with Rosewood back and sides you get a rich, articulate sound from the GN51. AC-CPX600RTB Yamaha CPX600 electro-acoustic guitar in root beer finish. Full bodied sound and a clever multi-sectioned piezo pickup system for superb clarity and tone through amplification. 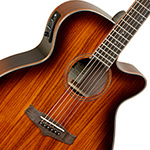 AC-APX600BL The new re-designed APX takes everything that made the APX500 the UKs best selling Electro-Acoustic guitar and improved it from the ground up. 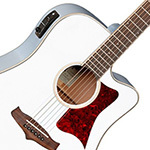 AC-CSF3MTBS The Yamaha CSF3M Is a high quality all solid guitar with a compact and oprtable body size making it the professional players go to travel guitar. Give us a call or pop in store for anymore information. 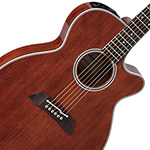 AC-TW145SS The Tanglewood Premier TW145 SS CE Acoustic Guitar is a exquisitely crafted electro-acoustic guitar, with a Solid Spruce Top and Solid Mahogany back. 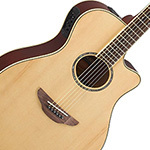 AC-TKEF341SCRF The Takamine EF341SC Acoustic-Electric Guitar features include a solid cedar top and solid maple back and sides. Shining black finish reflects stage lights like polished glass. 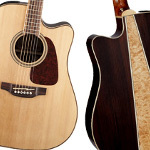 AC-APX600VS The new re-designed APX takes everything that made the APX500 the UKs best selling Electro-Acoustic guitar and improved it from the ground up. 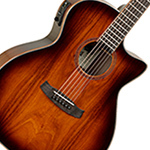 AC-APX600BB The new re-designed APX takes everything that made the APX500 the UKs best selling Electro-Acoustic guitar and improved it from the ground up. 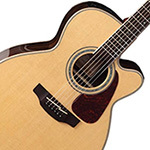 AC-FGTABS The Yamaha FG-Ta Trans Acoustic guitar brings together Yamaha must genius electronics with incredible guitar design to create an instrument for all levels and a sound that is un-matched by other guitars at its level. 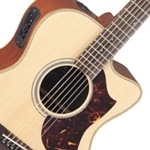 AC-LTD2018 Limited to very small numbers Takamine bring us the Gifu-Cho LTD 2018 Electro-Acoustic guitar. If you fancy something stunning and unique then this is the guitar for you! Give us a call or pop in store for anymore information. 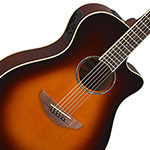 AC-TW28SVAB Part of the Tanglewood Evolution series guitars, the TW28SVAB is a new addition to the range featuring improved fretboard inlays, binding and Vintage Amber Burst finish. 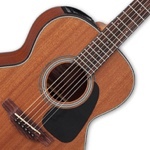 AC-TVC12N Featuring a comfortable Venetian Cutaway body, Cedar top and Fishman electronics, the Tanglewood TVC12N is a high performance giggable 12 string with a great look and tone. AC-APX1000NAT Redefining performance electro-acoustic guitars, the new Yamaha APX1000 is the flagship of the APX series, with hand-picked tonewoods and the amazing S.R.T technology. In Natural finish. AC-APX700IIBLK The Yamaha APX700II Everything you could want for and rough and ready stage guitar, A slimline body and beautiful Preamp system allow for fantastic tones on or off the stage. 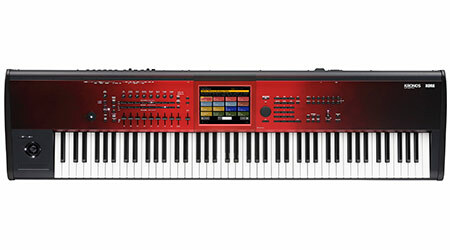 AC-APX700IINAT With a full upgrade on electronics and cosmetics, the new APX700II from Yamaha offers state-of-the-art design for the ultimate clarity and dynamics on stage. In Natural finish. AC-APX700IISB The Yamaha APX700II Everything you could want for and rough and ready stage guitar> A slimline body and beautiful Preamp system allow for fantastic tones on or off the stage. 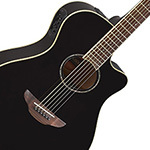 AC-APX1000BLK Redefining performance electro-acoustic guitars, the new Yamaha APX1000 is the flagship of the APX series, with hand-picked tonewoods and the amazing S.R.T technology. In Mocha Black finish. AC-APX1000CRB Redefining performance electro-acoustic guitars, the new Yamaha APX1000 is the flagship of the APX series, with hand-picked tonewoods and the amazing S.R.T technology. In Crimson Red Burst finish. AC-APX1000PW Redefining performance electro-acoustic guitars, the new Yamaha APX1000 is the flagship of the APX series, with hand-picked tonewoods and the amazing S.R.T technology. In Pearl White finish. 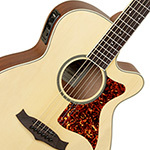 AC-TW155AS The Tanglewood TW155 AS Premier is a Super Jumbo Electro Acoustic Guitar featuring a B-Band EQ circuit. 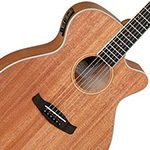 AC-TSJCEBK A highly affordable, good quality electro-acoustic with a big sound and a lively tone, the Tanglewood TSJCE BK Evolution series Super Jumbo is a good quality Electro-Acoustic guitar with a Spruce Top. AC-TSFCE-WHITE Tanglewoods Instruments reflect a perfect blend between time honoured design philosophies and modern manufacturing methodologies. Designed by some of Europes most celebrated Luthiers, each instrument is a manifestation of some of the finest tone woods available, produced with their factories meticulous attention to detail. 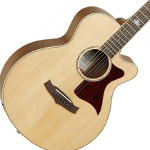 AC-APX700IIL The Yamaha APX700II Left handed Electro-Acoustic guitar, Everything you could want for and rough and ready stage guitar, A slimline body and beautiful Preamp system allow for fantastic tones on or off the stage. AC-TSJCEXFM Featuring a Solid Spruce Top, Flamed Maple Back and Sides and an excellent Fishman pre-amp system, the Tanglewood TSJ Super Jumbo looks and sounds fantastic for the price. 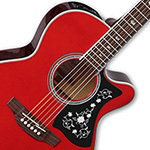 AC-CSF1MVN With its compact body and short 600mm scale length, the Yamaha CSF1M Electro Acoustic Guitar is designed with comfort in mind for players that prefer a slightly more compact guitar over a full-size model. 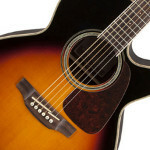 AC-TW28SLBKCE The Tanglewood TW28SL features a cutaway dreadnought body with Black Gloss finish, a spruce top and mahogany back and sides. 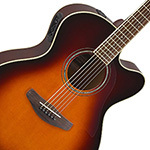 AC-555-0137-288 With its mighty jumbo body style, solid-top construction, stunning cosmetic features and premium electronics, the Takamine GJ72CE is built to perform. In Natural finish with Flame Maple back and sides. 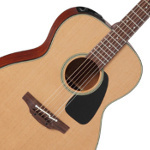 AC-555-0137-736 Featuring solid-top construction, elegant appointments and an upgraded electronics system, the Takamine GD71CE is a stylish acoustic/electric dreadnought guitar that is all about great looks and premium sound quality. In Brown Sunburst finish. 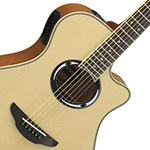 AC-TW1 The Tanglewood Evolution TW1 is a solid spruce topped electro-acoustic guitar with a built-in pickup and tuner. Great for beginners and experts alike. 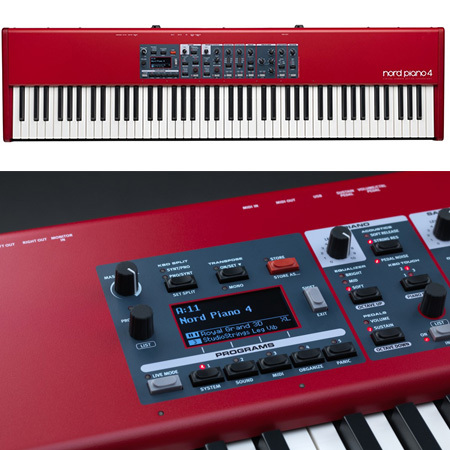 AC-LL6 The LL6 ARE offers many of Yamahas exclusive features. 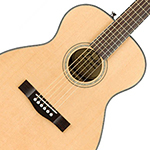 The solid Engelmann Spruce top is treated with ARE, and together with a modified bracing design, the sound has become more powerful and loud while still maintaining excellent balance. To fit to contemporary players needs, the LL6 ARE is equipped with a Zero Impact Pickup, ready for performance or recording at anytime without sacrificing its traditional look or full acoustic resonance. AC-GD11MCENS Stunning sound, great action and sleek looks. 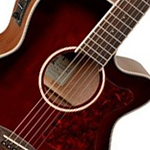 The Takamine GD11MCE NS is an all mahogany guitar with a rich, mellow tone and high-quality TP-4T pre-amp. 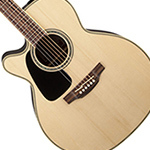 AC-GN71CE Featuring Takamines sleek and curvaceous NEX-style body, the GN71CE is an acoustic/electric guitar with a solid top and rosewood back construction that give it an upscale feel and distinctive sound. AC-TF-77-PT The TF77PT OM is handcrafted in our pro series facility that has been building precision quality instruments over five decades. 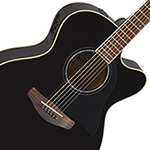 AC-GN51CE-BSB This Takamine guitar has everything you need to look and sound great on the stage. With a solid Spruce top combined with Rosewood back and sides you get a rich, articulate sound from the GN51. 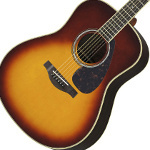 AC-GD93CE-NAT With a Solid Spruce top paired with the dreadnought body shape and high end looks this guitar is fantastic for all ranges of players. 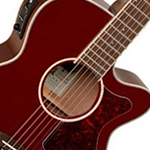 AC-GN71CEBSB Featuring Takamines sleek and curvaceous NEX-style body, the GN71CE is an acoustic/electric guitar with a solid top and rosewood back construction that give it an upscale feel and distinctive sound. AC-TSFCE-RED Tanglewoods Instruments reflect a perfect blend between time honoured design philosophies and modern manufacturing methodologies. Designed by some of Europes most celebrated Luthiers, each instrument is a manifestation of some of the finest tone woods available, produced with their factories meticulous attention to detail. AC-DBTDLXSFCEEB The Tanglewood DBT DLX SFCE Ebony, looks truely stunning with its all Ebony construction. Finance and part exchange available. Give us a call or pop in store for anymore information. 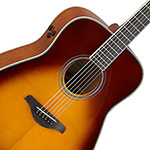 AC-555-0137-295 Takamines sleek and curvaceous NEX-style body, the GN93CE has a solid top and special back construction that give it an upscale feel and distinctive sound. AC-P5NC With Takamines distinctive NEX body style, the P5NC is a singers delight, combining the power of a dreadnought with balanced tone that perfectly complements the vocal range. For the best price or any advice give our Guitar Expert Callam a call. AC-APX500IIINAT Yamaha APX500III in natural finish. Slim body, comfortable looks and incredible electro-acoustic sound make this a fantastic all round guitar ideal for gigging. AC-TWJFE The cosmetics of the new TWJFE Folk is truly beautiful with a Solid Cedar top, Amara sides, and an amazing 3 piece back consisting of Amara/Spalted Mango/Amara. AC-TWJPE The cosmetics of the new TWJPE Parlour is truly beautiful with a Solid Cedar top, Amara sides, and an amazing 3 piece back consisting of Amara/Spalted Mango/Amara. 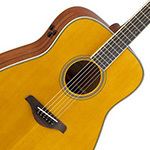 AC-GD71CENAT Featuring solid-top construction, elegant appointments and an upgraded electronics system, the Takamine GD71CE is a stylish acoustic/electric dreadnought guitar that is all about great looks and premium sound quality. In Natural finish. 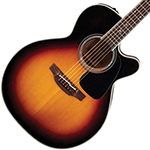 AC-GN51CENAT This Takamine guitar has everything you need to look and sound great on the stage. With a solid Spruce top combined with Rosewood back and sides you get a rich, articulate sound from the GN51. 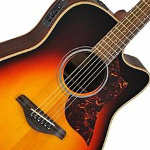 AC-GJ72CE12 With its mighty jumbo body style, solid-top construction, stunning cosmetic features and premium electronics, the Takamine GJ72CE 12 String is built to perform. In Natural finish with Flame Maple back and sides. AC-LLTABS Theres nothing so inspiring as playing guitar in a great sounding room - it makes you play better, longer and with more creativity. The Yamaha TransAcoustic Guitar recreates that incredible experience without needing any external amplification or effects, just the guitar itself.